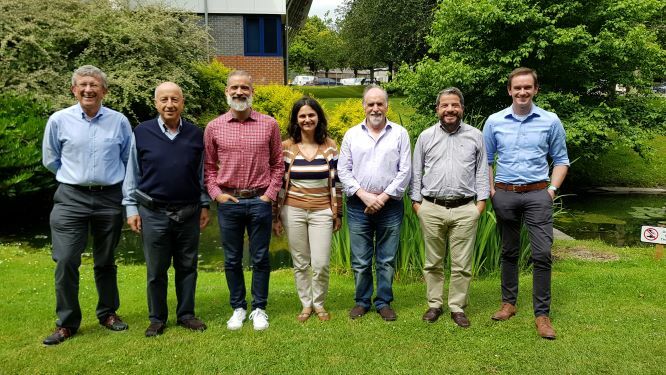 Southampton (United Kingdom) was the venue of the 2nd transnational project meeting of the Onboard project. It was hosted by Marine South East and took place between 19 and 20 of June 2018. This was a strategic meeting in which the partners had the opportunity to exchange their knowledge related to the apprenticeships schemes available in each country and also to analyse and discuss the National results obtained by the collection of surveys, interviews and focus group (the last one only performed in Portugal). The discussion was extremely fruitful, since it allowed partners to identify the functional profile to be developed, besides the definition of a detailed work plan for the next period of the project. A final report on desk research and field work performed by the partnership will be launched in the next months, providing to project’s target groups an overview of the apprenticeships schemes in each one of the countries, as well as a characterization of the ports and logistics sector in each country in terms of evolution, needs and trends. To keep updated about the activities and results of the project we invite you to follow our website! For further information, please contact Andreia Monteiro at andreia.monteiro@inova.business. By adminUncategorizedComments Off on Onboard consortium meets for the second time!